in AUD to USD, USD to AUD. Investors continued to price in higher odds of the Fed raising interest rates before the end of the year on Wednesday. Hopes appear high for the FOMC to have adopted a more hawkish tone in its latest meeting minutes, keeping the AUD USD exchange rate on a downtrend. As a result, despite positive Australian data, the pairing was trending in the region of 0.7621 towards the end of Wednesday’s European session. It has been a strong start to the week for the AUD USD exchange rate, which has benefitted from a number of disappointing US ecostats. Can the Australian Dollar maintain its recent bullish gains in the longer-term, however? Despite signs that the Chinese economy could be slowing once again markets returned to a greater state of risk appetite this week. In large part this was due to the bearishness of recent US data, which had led investors to dial back their expectations for the timing of the next Federal Reserve interest rate hike. Confidence in the world’s largest economy was dented by the latest Advance Retail Sales, University of Michigan Confidence and Empire Manufacturing Indexes all falling short of forecast. As a result the Australian Dollar to US Dollar (AUD/USD) exchange rate was able to make some strong gains. A rally in iron ore prices helped to support the antipodean currency at the start of the week, with investors still hopeful that the Australian economy is continuing to transition to a post-mining footing. Demand was also boosted by a strong uptick in the ANZ Roy Morgan Weekly Consumer Confidence Index, which pointed towards greater optimism within the domestic economy. 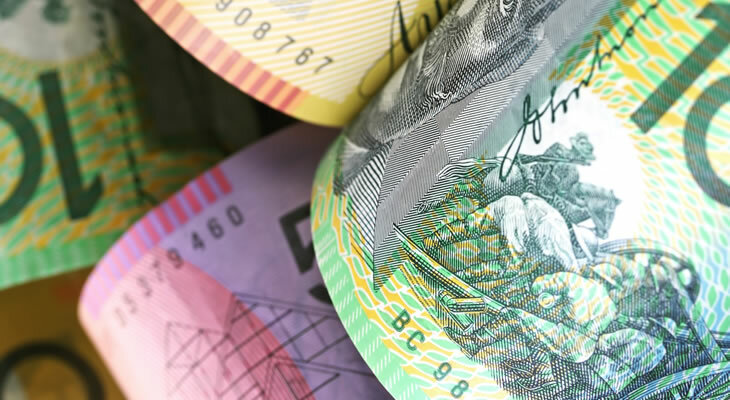 Initially the Australian Dollar reacted positively to the August meeting minutes of the Reserve Bank of Australia (RBA), which some investors assessed to be less dovish than expected. There were hopes that the departure of Governor Glenn Stevens could lead to a reconsideration of the current inflation target. Any revision in the inflation target would reduce the pressure on the bank to cut interest rates further, a possibility that could give the antipodean currency a strong boost against rivals. However, with some weeks to go before the Fed meets for its September rate decision upside potential for the US Dollar remains. New York Federal Reserve Bank President William Dudley took a more hawkish tone in recent comments, with the policymaker indicating that an imminent rate hike remains possible. Nevertheless, if domestic data continues to paint a less-than-robust picture and negative global headwinds persist then the AUD USD exchange rate could continue to benefit from the diminished odds of a 2016 interest rate move. At the time of writing, the Australian Dollar to US Dollar (AUD USD) exchange rate was trending higher in the region of 0.7691, while the US Dollar to Australian Dollar (USD AUD) pairing was on a downtrend around 1.2996.